All our partner sites are independently reviewed by our team of industry experts. We examine 10 different criteria and award a score out of 10 for each, adding up to a final mark out of 100. You can read a full description of our Betfred Casino review process here. Betfred Casino received a 84/100 scoring. “You’ll love a bit of Betfred”, or so they tell us. And why not? What’s not to love about this cheeky sportsbook? It’s all about that best of British feel, with former England left back, ‘Psycho Pearce’ fronting their ad campaigns, Betfred are aiming right for the hearts of the man on the street. You are most likely familiar with the Betfred brand – the 4th largest sportsbook in the UK – and a regular site on our high streets since the first shop opened its doors in Salford in 1967. They now run 1,370 betting shops in the UK and boast a formidable online presence, with a massive range of games that goes well beyond sportsbook – including of course their casino, live casino, Virtual Sports, Poker, Bingo and Instant Wins. The overall experience at Betfred is fun, but safe and reliable. You feel like you’re in good hands from the moment you arrive on the site. 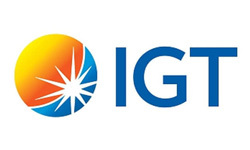 And with a product built on the Playtech platform, featuring their strong line up of games alongside favourites from IGT / Wagerworks, the chances are you will love a bit of this! As already mentioned, the minimum deposit here is £10. Simply make your first deposit/transfer of £10 or more into Casino, stake £10 on slots across 5 or more game rounds, and you’ll be rewarded with a whopping 50 free spins immediately! Make sure to ‘Accept’ your free spins from the pop up message, open an eligible game and start spinning on some of our most popular games. Best of all, free spins have no wagering requirement attached meaning you keep every single penny you win – amazing we know!. There are tons of regular promotions at Betfred. For more details of up-coming promotions at Betfred, check the site every week. Betfred Casino runs on Playtech software and you will find some of the most popular Playtech slots and games on offer. There is also a wealth of video poker games, card and table games, scratch cards, and live dealer tables. Plus, of course there are the other Betfred options, including sportsbook, bingo and poker. 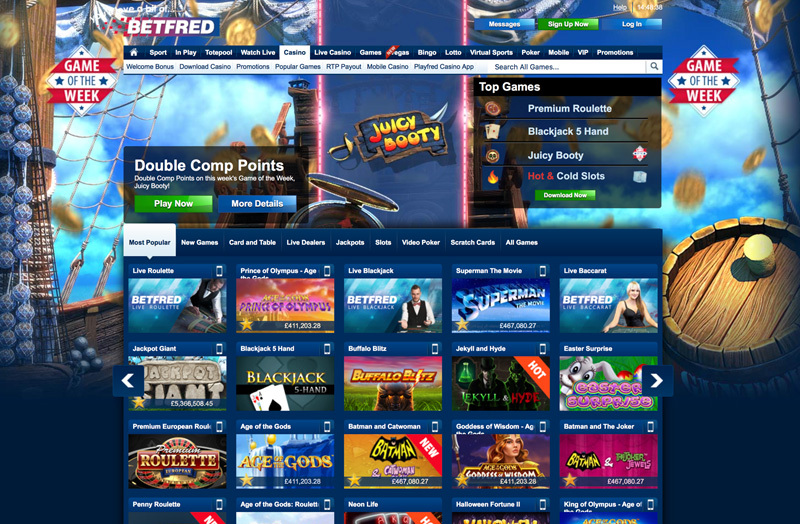 The Betfred Casino lobby allows you to browse the different game types on offer by using the ten tabs along the top of the page, including Live Dealers, Jackpots, Slots, Video Poker, Most Popular, New Games, and Scratch Cards. The live dealer games are also not to be missed and you can choose from Live Baccarat, Live Blackjack, Live Mini Baccarat, Live Roulette, and Live Hold’em. Betfred offer a pretty comprehensive customer support service, as you would expect from a betting company that operate in-bound call centers to take bets. So you can contact support easily by phone or email. It’s just slightly disappointing that there is no live chat support. Betfred Casino accepts all the major deposit and withdrawal options in their cashier. So you can use your debit or credit card, or online payment methods like Paypal, Paysafecard and Skrill. There are no processing fees at Betfred Casino. Betfred Casino is a pleasure to visit and, for a site with such a range of products and choices, from bingo to poker, you won’t be overwhelmed as the layout is simple and easy. What’s more the transition from desktop to mobile and tablet has been handled well so whether you’re at home or on the go, Betfred allows you to manage your account, contact support and play games with ease. 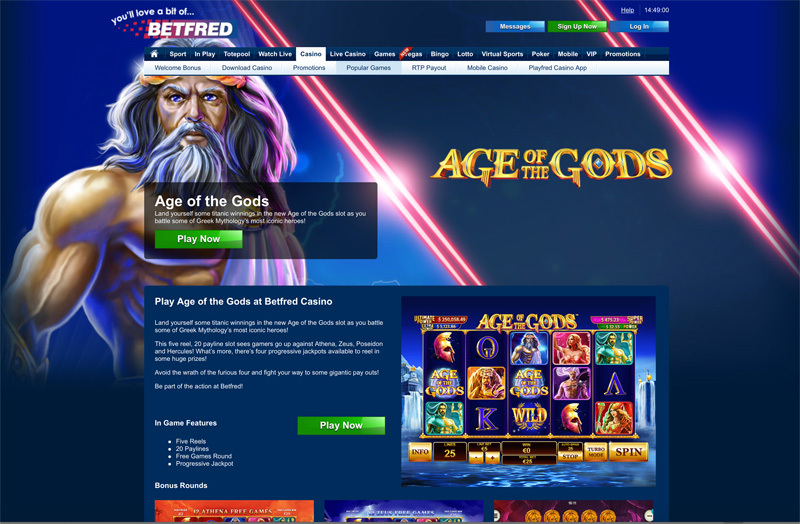 Betfred, on the Playtech platform, has been built for almost all devices, with the exception of TV. Betfred Casino offer a range of live dealer games from Playtech, including Hold Em, Blackjack, Baccarat and Roulette. All the tables allow you to interact with the live croupiers, and the action is available on both desktop and mobile. This casino is licensed and operated out of the jurisdiction of Gibraltar, as well as being licensed and approved by the UK Gambling Commission.